No doubt the most important thing for a baby is bedroom. Babies is open for all affects asleep. Thats why babies should have protection while they are sleeping. Baby bedding sets is the most important detail for a baby. While a linen is producing producters should use natural materials such as cotton and bamboo and something like this. There are pillow, duvet cover, sheet in same quality. Different designs will enjoy your babies even while they are sleeping. If you want to make use of the new baby linen sets you can have a look our page. 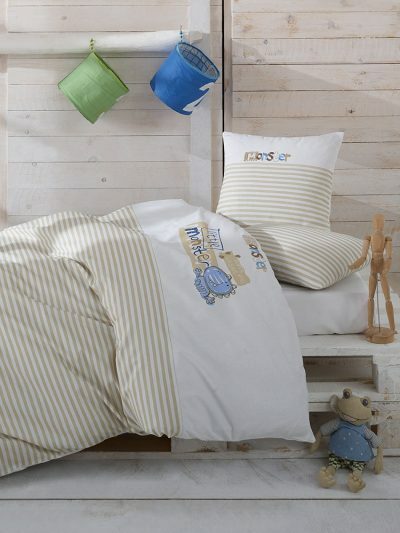 Producters use bamboo, cotton mostly while they produce baby bedding sets. Thats why baby linenalternatives provide healty sleep. This is an important advantage. For a sweet dream and for a healty sleep you can choose this alternatives.